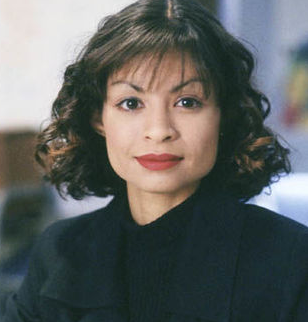 One of the American actress is Vanessa Marquez. She was the member of ACTRA. Vanessa Marquez was born on 21 December 1968 at Los Angeles County, California, the U.S. From the very beginning, she loved to do acting. She never gave up on her dream. she used to write letters to the producers. Later she succeeded in becoming a successful actress. She had suffered from depression, OCD, and shopping addiction. In a 2005 episode of A&E's show named ‘Intervention’, her struggles with shopping addiction were documented. Vanessa’s weight is 55 kg and height is 1.60 m. Overall, she has the balanced body. In 1988, she played in the drama called ‘Stand and Deliver’. In 1994, she did an acting role in ‘ER’. In 1992, she appeared in an episode of Seinfeld called ‘The Cheever Letters’. In 1993, she played in ‘Blood in, Blood Out’ and ‘Twenty Bucks’. She appeared as a singer in the 2000 film ‘Under Suspicion’. Vanessa kept her relationship secret. Vanessa’s net worth is estimated to be $250,000. Vanessa was killed by police during an incident at her home in South Pasadena, California. The incident took place on August 30, 2018. When authorities were called up to her house for a welfare check, it was discovered that she had been suffering from mental issues. After 90 minutes of conversation, she allegedly armed herself with a pistol. She was shot at the torso. She was treated at home and was sent to the local hospital. According to police, she died in the hospital.